In the wake of the recent shooting at Marjory Stoneman Douglas in Parkland, Florida, 17 innocent people lost their lives and an entire community is shattered. However, the students of Stoneman Douglas have not been silent. They have raised their voices across the media, advocating that our government do something to stop the endless mass shootings. As a result, they have organized the March For Our Lives on March 24th. On this day, students and families will march in Washington, DC and across the country to speak out against the lack of action our government has taken to prevent these tragedies. Their website states “school safety is not a political issue.” They’re calling on congress to work together — Republicans and Democrats — to rapidly create an effective bill that addresses the gun problems in our country. They say that special interest groups and political agendas are not nearly as important as human lives. According to ABC News, the students are calling for a ban on assault riffles and common-sense regulations such as background checks, strengthening mental health care and preventing those who have a history of crime from obtaining a gun. The point of this march is to “create a new normal where there’s a badge of shame on any politician who’s accepting money from the NRA,” said 11th grader, Cameron Kasky. 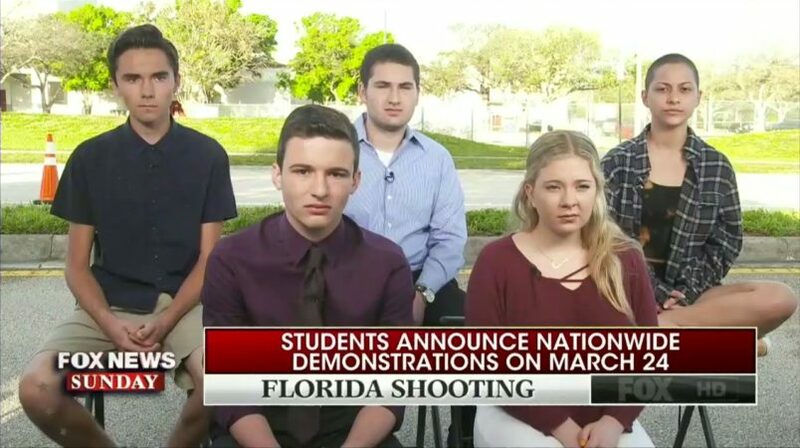 ABC also interviewed students Emma Gonzalez, David Hogg, Alex Wind and Jaclyn Corin. Emma Gonzalez, who gave a powerful speech calling out politicians at a gun control rally, stated that the student activists wish to meet with President Donald Trump, Senator Marco Rubio and Governor Rick Scott to discuss gun control. The organizers of the march encourage students who are just like them to participate because this can happen to any student across America.